God Friended Me is a comedy series about an outspoken atheist whose life is turned upside down when he receives a friend request on social media from God. Miles Finer (Brandon Micheal Hall) unwittingly becomes an agent of change in the lives and destinies of others around him as he sets out to find out who is behind the mysterious texts he is receiving and, more importantly, if there is any chance at all that they are coming from a higher being. 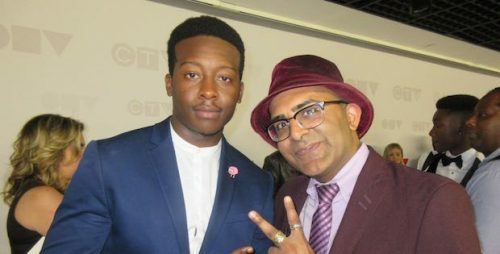 At CTV’s 2018 upfront presentation, I caught up with God Friended Me‘s Brandon Micheal Hall. We chatted about the differences between this show and his last series, The Mayor, and what initially drew the actor to the script. We talked about the plot of the show that follows a non-believer after he is friended by God and sent on various missions to help the people around him and whether that concept will continue to play out during the course of the entire series. God Friended Me airs Sundays at 8:00 p.m. on CTV.